Ayman al-Zawahiri is a dour Egyptian surgeon in his late fifties who is the deputy leader of Al-Qaeda, and therefore is technically Bin Laden’s successor. The long-held conventional view of Al-Qaeda’s war on the West is that Zawahiri has been the brains of the operation, an analysis that appeared in a myriad of post-9/11 accounts. 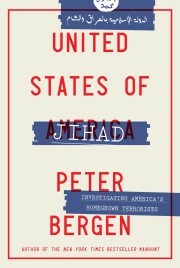 However, this analysis misses the fact that in making the most important strategic shift in Al-Qaeda’s history — identifying the United States as its main enemy — Bin Laden dismissed Zawahiri’s obsessive, single focus on overthrowing the Egyptian government and kept him in the dark for years about Al-Qaeda’s plans for the 9/11 attacks on America. If you understand the real role that Zawahiri played in Al-Qaeda, it is clear that he will have a very hard time replacing Bin Laden. Certainly, when Bin Laden first met Zawahiri in 1986 in Pakistan, the slightly older Egyptian militant, who had recently served three years in Egypt’s prisons for his jihadist activities, was far more of a hardened revolutionary than Bin Laden, at the time the shy son of a Saudi billionaire in his late twenties. Zawahiri believed that most of the modern Middle East had turned away from true Islam and the correct response was to overthrow the “near enemy”, Arab regimes run by their “apostate” rulers. A decade later, though, when he first arrived in Taliban-controlled Afghanistan in 1997 after six months in a Russian jail, his relations with Bin Laden were on a different footing. Bin Laden was at the time emerging as something of a global celebrity, the emir or prince of jihad, while Zawahiri was the penniless leader of a relatively small Egyptian terrorist group, not especially well liked or regarded even by his own followers. It was then Bin Laden who took Zawahiri under his wing, urging him to see that the root of the problem was not the Arab “near enemy”, but the “far enemy,” the United States, which propped up the status quo in the Middle East. Bin Laden only disclosed details of the coming attacks on Washington and New York to Zawahiri after his Egyptian Jihad Group formally merged with Al-Qaeda in June 2001. It was “more like the assimilation” of Zawahiri’s organisation, according to Feroz Abbasi, a British-Ugandan training in Al-Qaeda’s camps at the time. The organisation was run like a dictatorship by Bin Laden, as was explained by Khalid Sheikh Mohammed, the operational commander of the 9/11 attacks. “If the shura council at Al-Qaeda, the highest authority in the organisation, had a majority of 98% on a resolution and it is opposed by Bin Laden, he has the right to cancel the resolution,” he said. Bin Laden’s son, Omar, recalled that Al-Qaeda members would request permission before speaking to their leader, saying: “Dear prince, may I speak?” Even Zawahiri would ask for leave to speak. To his followers Bin Laden was an extraordinarily charismatic man, someone who they knew had given up a life of luxury as the scion of one of Saudi Arabia’s wealthiest families to live one of danger and poverty in the cause of jihad. He rejected all the comforts of the modern era, sleeping on the floor, eating little, a man of disarming personal modesty who displayed an almost freakish religiosity. The fact that he modelled his life of jihad on the life of the Prophet Muhammad was not lost on them. This influence on militant footsoldiers in the UK could be seen in their public statements. Mohammad Sidique Khan, the leader of the July 7 suicide attacks in London in 2005, described Bin Laden and Zawahiri as “heroes” on his “martyrdom” video. Around the world, those who joined Al-Qaeda swore a religious oath of allegiance to Bin Laden, not to the organisation itself, in the same way that many Nazi party members swore an oath of fealty to Adolf Hitler, rather than to Nazism. This makes Bin Laden a very difficult person to replace and there is no evidence that Zawahiri has the charisma or that he commands the respect bordering on love that was accorded to Bin Laden by members of Al-Qaeda. A senior US counterterrorism official says there is “no succession plan in place”. Indeed, US officials believe Zawahiri is “not popular with colleagues” and hope there will be “disharmony and discord” as militants sort out the succession. An alternative leader is Saif al-Adel, also an Egyptian, who has played a role as a military commander of the terrorist group, and after 9/11 spent many years living in Iran under some form of house arrest. Adel is now reportedly in Pakistan. Another candidate is the Libyan preacher Abu Yahya al-Libi, who has taken an increasingly prominent role in Al-Qaeda propaganda videos. Neither has the great back story of Bin Laden, or his global renown, or his ability to persuade many thousands of disaffected young men that the West is at war with Islam. Away from “Al-Qaeda Central”, the figure who most concerns counterterrorism officials as a new leader is Anwar al-Awlaki. An American-born cleric living in Yemen, he has taken an increasingly operational role in Al-Qaeda in the Arabian Peninsula, which was responsible for trying to bring down Northwest Airlines flight 253 over Detroit on Christmas Day 2009. Last October, Al-Qaeda in the Arabian Peninsula hid bombs in toner cartridges that were placed in postal packages sent on planes bound for Chicago. They were discovered only at the last moment at East Midlands airport and in Dubai. The skilful bomb maker is still at large, according to US officials. Awlaki’s command of English and his internet savvy make him particularly threatening and President Barack Obama regards him as so dangerous that he has authorised his assassination, even though he is a US citizen. A wild card to succeed Bin Laden is one of his dozen or so sons. Saad, one of the oldest, has played a middle- management role in Al-Qaeda but is reported to have died in a drone strike in the tribal regions of Pakistan.